Ex-India Cricketer of India, Amit Bhandari the DDCA (Delhi and Districts Cricket Association) senior selection committee was assaulted by a group of men on Monday. The group was led by an angry under 23 player after he was not selected in the team. The player who has been identified as Anuj Dheda was not selected in the team and decided to attack Amit Bhandari who attained injuries and was rushed at a hospital in the Civil Lines, he was rushed by his Sukhvinder Singh. The players and the group who attacked the ex-cricketer ran away before the cops reached the St. Stephen Ground. The senior team is getting ready for the upcoming Syed Mushtaq Ali Trophy that will be starting this month on February 21. The name of Anuj Dheda was included in the initial list that had 79 players, this was released by the DDCA back in November when the trials for the U-23 were going on, the date of birth of Anuj is on November 22, 1995. Rajat Sharma said: “The goons were pressurising him to select a player, who had failed to get into the U-23 team on merit. Bhandari claimed that one man also threatened him with a revolver. 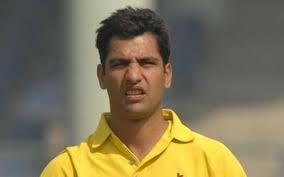 One eye witness said that Dedha and his friends chased down ex-cricketer Bhandari in front of the senior players, he was also seen running for is life.